The mission of the Pacific Northwest Quilt & Fiber Arts Museum is to present exhibitions and educational programs in all fiber arts that enrich and inspire, honor cultural traditions, and celebrate the creative spirit. 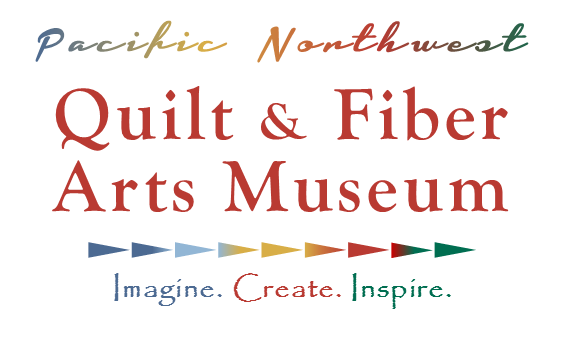 We envision the Pacific Northwest Quilt & Fiber Arts Museum as a world-class exhibition facility with comprehensive and stimulating educational programs in all fiber arts. Recognized as a premiere source for research, we will be the foundational core of a passionate, vibrant, and evolving fiber arts community. We are here to inspire, teach, and preserve fiber art traditions and culture for future generations. Our collection focuses on the textiles of the Pacific Rim that both exemplify tradition and reflect contemporary trends. The collection will serve both exhibition and educational purposes, and ensure its preservation for future artists, enthusiasts, and students. 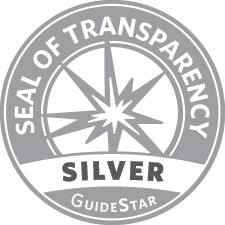 We appreciate your donation and commitment to our mission and programs. The Pacific Northwest Quilt & Fiber Arts Museum is a nonprofit 501(c) 3 organization (Tax #91-1831289) and your contributions are tax deductible. We will send you an acknowledgement of your donation to use for tax purposes. And, again, thank you! Donate! Use the button below to donate online or mail your gift to P.O. Box 1270, La Conner, WA 98257. Did you know many companies will match your gift? Click here for the list. Do you shop on Amazon? If so, consider starting your shopping experience at AmazonSmile. By entering Amazon.com via the link above, which will take you directly to the main Amazon site, 0.5% of the purchase price of eligible products will be donated to charitable organizations like ours! The first time you enter the site you will be given an opportunity to select the charity your purchases will support and we hope you will pick us! Sponsor an exhibit, event, or program, adopt a quilt, participate in planned giving and more! Contact Us! The Pacific Northwest Quilt & Fiber Arts Museum collection focuses on the textiles of the Pacific Rim that both exemplify tradition and reflect contemporary trends. The collection will serves both exhibition and educational purposes, and ensure its preservation for future artists, enthusiasts, and students. The permanent collection includes quilts and textiles that range in age from the 1820′s to the modern day. Categories include the Jane Jackson Collection, the Susan Hyde Collection, the Josie Teeters Schlotterback Collection, and the Contemporary Collection.